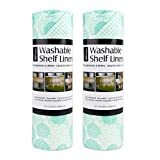 What Are The Best Shelf Liners For Pantry? Whether you are coming into a new house or looking for a change in your pantry the shelf liner is the easiest way to design a better outlook. They are very easy to set and reposition. They are also beneficial to your pantry as you will discover below. We all know that it’s best to keep your pantry clean and organized because it will determine whether your food will stay fresh for long or not. Besides, it will offer safety to your kitchenware. Can you imagine getting into a messy pantry where you don’t know where each item is placed? A new shelf liner might be all you need to make the difference in your pantry. Of course, you must arrange the room and avoid clutter. This article guides you into the best shelf liner for your pantry. WHY DO YOU NEED A SHELF LINER? I know most people who wonder why they need to do some things around their house. Many at times it’s just an inherited behavior, I mean, you saw your mother do it and all other people do it. However, the question is why do you do it? This will often come from drops of water from your not dry utensils, sometimes the cooking oil that you place on the shelves happen to drip and at other times even the stains from your jars and pans. Your liner will keep all that away living your cabinets and shelves dry and in shape for longer years. This is the one I love the most. When it comes to color the shelf liners come in various dazzling colors. You can play around with color in whichever way that pleases you. Whenever you are ready to clean your pantry cabinets it will be easier without needing a unique soap to remove stains. Even when the stain is tough on your liner you will only need to change the liner where it would cost you a lot to change the wood. Small appliances are almost in every household cabinet. These tend to scratch them when uncovered. 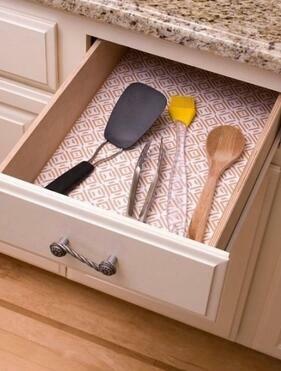 Another way in which your cabinet gets scratched is when you remove items from the cabinet or place them on the cabinet. 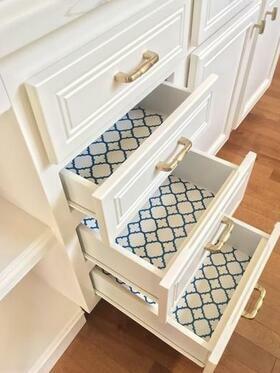 This will prevent the need to replace the cabinet every so often. Sometimes your surfaces develop hard to remove stains. As much as you try to scrub them off they just won’t come out. A shelf liner works best to cover such surfaces. Assuming your pantry is the same place where you keep some of your utensils the noises of placing and removing the utensils from the pantry is reduced. Finding your small items is easy because the liner will allow them to stick on rather than roll and fall. They help to keep things tidy and neat. The shelf liners are categorized in either non-adhesive or adhesive liners. This is the traditional kind of liner material which is plastic material and difficult to remove when it sticks on to your surface. It’s also inexpensive and if you know how to work with it then well and well. These are the modern kinds that are easy to use and remove. If you can get a good quality that has a perfect grip and non-slip features your work will be easier. They are among the best because they hold your items in place. They don’t slip and are resilient. Since it contains sulphur which causes corrosion they shouldn’t be used for those surfaces that have silverware. It comes with several feet rolled. It’s best used to protect resilient surfaces that bolster your glassware item and other fragile items. This subtopic is meant to help those who like adhesive liners. The market is flooded with different kinds of items that will help to remove your shelve-liner adhesive. You have a choice from the mild ones to the very strong. Always begin with a mild solvent then if it doesn’t work choose a slightly stronger solvent. Use a paint scraper to try and pull the liner from one corner. Keep brushing and pulling until you have removed the whole liner from the shelve or surface. Make use of your small bristles brush. Once you are through, use a fine sandpaper to remove the remaining adhesives. If you still can’t lift the liner try using the paint stripper then use a paintbrush to apply it on the entire shelf liner surface. Let it rest for like an hour. Scrape the liner then wipe the residual stripper off the surface using a damp sponge. The moment you begin your work and are using a solvent, remember to wear protective gear as you protect your other surfaces by covering them. Work in a well-ventilated room. Avoid working where there is high heat as this may cause an explosion. Do you have a hair dryer? Apply heat from the hair dryer at the shelf liner corner as this will make the liner loose. The heating should take about a minute. Using your putty knife and start to remove the liner from the corner. Try to pull it and when your reach a stuck place employ another technique. Use a warm water spray bottle and spray the water to the stuck ends. Let it stay for a while then begin pulling again until you reach a stuck place again and spray the water on the adhesive liner. Let it rest then pulling it until you finish the process. You may also use the hair dryer heat when the area is still stuck after you spray the water. Now, soak a cloth in a commercial adhesive remover then scrub off the other remaining parts. Use a damp cloth to wipe out the adhesive remover. Use a mild detergent to clean the pantry shelf and prepare it for your new shelf liner. There are several things to look out for whenever you need to buy a shelf liner. 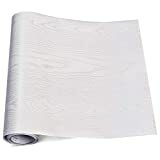 Depending on what exactly you are looking for, the shelf liners are available in different textures to suit your needs. There are plastic shelf liners, glass shelf liners, soft foam shelf liners and thick plastic shelf liners. For your pantries, a soft foam and plastic shelf liner would work best. 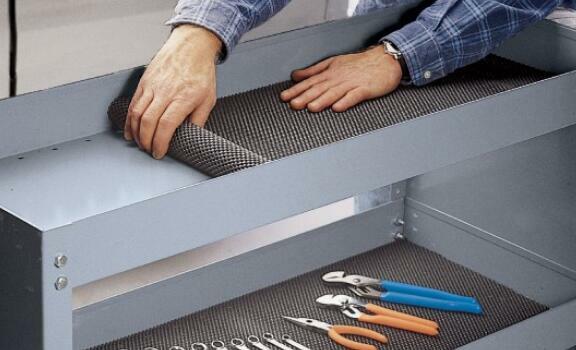 Whenever you intend to buy a shelf liner, its best to ask whether you need a self-stick liner or not. If you are living on a rented space go for a non-stick adhesive to avoid being charged for the damage caused by removing the liner. The case of adhesives is best if you are living for permanent or semi-permanent home. Nevertheless, non-adhesive shelf liners are best used in the pantry because of the need to change every so often. Those shelf liners that are stain or dirt resistant will serve you better. For those ones that you can remove, its best to go for the ones that are dish washable or you could use soapy water and easily remove a stain. The designs available are so many and it all depends on your choice and preferences. When you need to hide imperfections, don’t worry there are many designs that will easily do that for you. From carton figures to floral prints, male and female preferences they all are available for you to choose from. Gather all the essential items to use in the process. They may include a notepad, a ruler, scissors, the cleaning cloth and shelf liner, a squeegee, vinegar and cutting mat. Now let’s start, take your shelf measurements and note down. Note also the length of liner you will need for the shelf. What color of liner and pattern pleases you? Buy that one. Remove all the foodstuff and kitchenware from the shelves and use vinegar or any other cleaning detergent to clean your surfaces. Let your shelves dry before you place the shelf liner. Confirm the measurements of your liner material and cut the piece you need from the whole roll. Go ahead and place the liner on your shelf as you smooth it out from the bubbles. This is an effective non-adhesive shelf liner. Which means that you can place it on the shelf and remove it with ease. It has a non-slip grip on both the top and bottom that helps it to stick on the surface and thereby protecting the things you place on the top from slipping around. It’s further easy to cut to desired measurements as well as easy to install on the shelf. Removing it is a breeze and from the different available colors, you could change it to your other color within a short while. It’s good for the decorative purposes of your pantry shelves, drawers and cabinets. The item is easy to wash even in a machine and dry it by laying it flat under a shade. This means you don’t have to retain those stains. Don’t forget that you can reposition it whenever you need to. We all have these small items in the kitchen pantry that we wouldn’t want to lose because searching for the small items is a hustle on itself. This shelf liner is designed to save you from such kind of hustle. The shelf liner is designed to fit an 18 × 36 inches shelf. The liner is smoky grey and about .5 mm thick. If you place it on a wire shelf it will protect your bottom items from getting dirty. It’s further easy to wash or wipe clean with soapy water. The shelf liner is easy to remove and replace a new one. This is your ideal versatile shelf liner. You could use them in your pantry shelves, drawers and sometimes bathrooms. 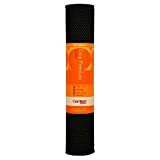 It further features 12 inches × 10 feet and 2 rolls of liners. It has a non-adhesive cushion that you can cut to any desired shape. Its specifically ideal for protecting your glasses and you can even use it in the fridge. Since it’s easy to cut, you can reshape it and fit it on any design surface. When it comes to patterns and colors, you are spoilt for choice. Choose from: tango red, dahlia black, dahlia aqua among others. You can wash it and reuse it again which means your surfaces are free of the need to be wiped. The liner is designed to not only provide the aesthetic value but also functionality, unmatched quality and longevity. It’s a design that especially suits a wire shelf giving it the same benefits that you have when using a flat surface. You can design it to whichever shape you desire and using any household scissors. Don’t be misled because the liner is thicker than most in the market. What’s more, it’s a waterproof design that is easy to clean, remove and replace. Besides the liner is of better quality than most that are sold in the market. 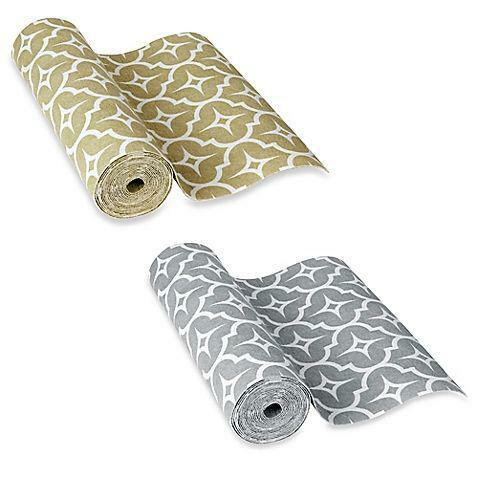 This versatile wood grain paper is flexible for use on your shelves and drawers. Note that its about .33mm thick adhesive PVC. Its further water resistant and easy to place and remove since it doesn’t form bubbles whenever you place it on your flat surface. The paper is a strong material that makes use of a lot of glue which may smell if you use it in a room that lacks proper ventilation. Therefore, it’s advisable to open your windows for about two days to allow the fresh air in. The liner is pure white in color with some details of silver but you may have it reflect other colors that you decide to use for lighting. 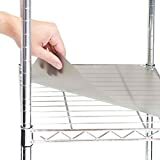 This heavy-duty, premium shelf liner is ideal for all the heavy and sharp objects, cutleries and other kitchenware among other things. It offers a cushion to your pantry surfaces, garage stations and other areas of the house. The grip and cushion work hand in hand to keep your utensils clean, neat and in place. It’s a multipurpose liner that suits your kitchen, bathroom and garage. It’s a non-adhesive liner that is easy to remove and clean then place back. When it comes to color choice, you have a range of 21 colors to choose from. This allows you to change as much as you wish or better still mix and match the colors. It protects your surfaces from scratches and other forms of dirt. Cleaning it is a breeze because you only need to use a damp cloth to wipe of the dirt. 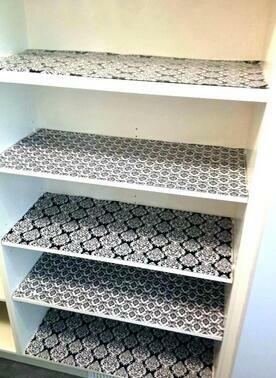 Here is another classic design of shelf liner that will offer an aesthetic value to your pantry. 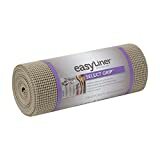 This non-adhesive liner is all you need for your shelves drawers and other surfaces. It’s a non-stick design that is easy to remove, reposition and clean. It’s the ideal design for covering the scratched surfaces, wear and tear. It’s easy to apply and when cleaning it, only use a damp cloth to wipe out the dirt. After cutting out the piece you need the rest is easily rolled then stored. A disclaimer, however, is that it is sometimes hard to cut. Shelf liners are as you may have noticed on the benefits discussed worthwhile. While they have never been the reason as to why the homeowner had to change their shelves, they may protect your surfaces. This is especially so if you use a non-adhesive liner. Using the sticky liners may work to your disadvantage because when you need to remove the liner, the scrapping process may wreck the surface altogether. Cleaning the entire pantry shelves will give you the chance to clean your liners and dry them thereby removing stubborn stains. Choose the shelf liners that are padded and non-adhesive to avoid noise. lastly, choose a design that is visually appealing. There are thousands of designs that you can copy for your pantry, make a wise choice. From the article, it’s easy to tell that adhesive liners are a pain when it comes to removing them and repositioning. Nevertheless, there are people who love them and are looking for the permanent look which is fine and feel free to utilize the procedures above when removing and replacing. However, the easy to use ones are non-adhesive liners. It’s easy to remove and doesn’t damage your surface, they are easy to clean and you may reposition if needed. While all other brands are amazing I prefer Duck Brand Select Grip Easy Liner Shelf and Drawer Liner. This is because it’s easy to use clean and reposition. 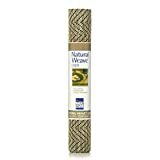 Besides the brand has stood the test of time and is generally famous when it comes to shelf liners.